The Zanzibar red colobus monkey is the only primate, aside from humans, known to eat charcoal in the wild. All age classes and both sexes eat charcoal, but only those groups living in perennial gardens or near human dwellings do so. The habit appears to be transmitted from mother to offspring by imitation, but how it developed in the first place is unknown. Sources of charcoal include charred stumps, logs, and branches, as well as that produced in kilns by humans. These charcoals adsorb organic materials, such as phenolics, particularly well and, as a consequence, remove these compounds, which have the potential to be toxic or interfere with digestion or both. The extreme inertness of charcoal makes it an unlikely source of minerals to the colobus. 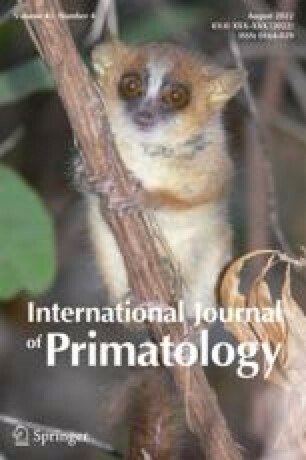 We conclude that, by eating charcoal, monkeys living in gardens with a high density of food species dominated by exotic trees — Indian almond and mango — are able to exploit this abundant food resource that is high in total phenolic content much more effectively than in the absence of charcoal. The young leaves of these exotic tree species are also very high in protein and highly digestible. The benefits of charcoal eating are most likely due to the fact that charcoal adsorbs phenolics better than proteins. This may explain in large part why the birth rates and population densities of the colobus living in the Indian almond and mango habitat adjacent to the Jozani Forest are significantly higher than those in the ground-water forest. The population density of colobus in this small area is the highest ever recorded for a nonhuman anthropoid (≥700/km 2 ). It may not, however, be a stable situation, as there are indications of higher levels of aggression, lower recruitment into the medium-juvenile size class, and overbrowsing.